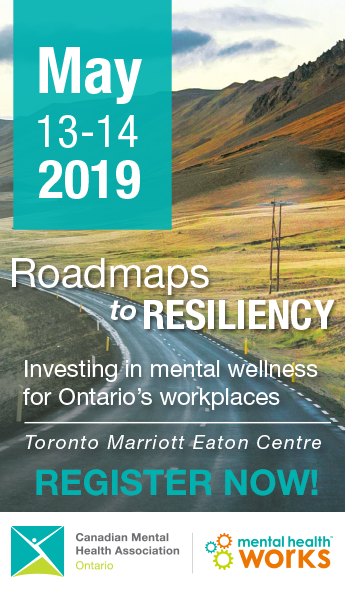 Canadian Mental Health Association, Durham Branch was recently featured in the Community Mental Health Journal as an example of an Integrated Health Hub (IHH) model that provides holistic care for mental health and addictions clients. CMHA Durham Branch adopted an IHH model to provide holistic, wraparound care to its clients. In the IHH model co-location of organizations and collaborated health services are offered by an integrated team providing shared care. At one physical location, CMHA Durham Branch’s clients can access primary care, psychiatric care, supportive housing, pharmaceutical care, legal support, case management, community wellness services etc. 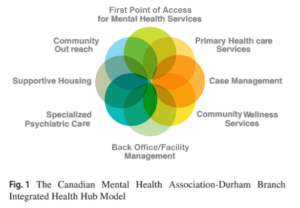 Learn more about CMHA Durham’s IHH model in the Community Mental Health Journal.